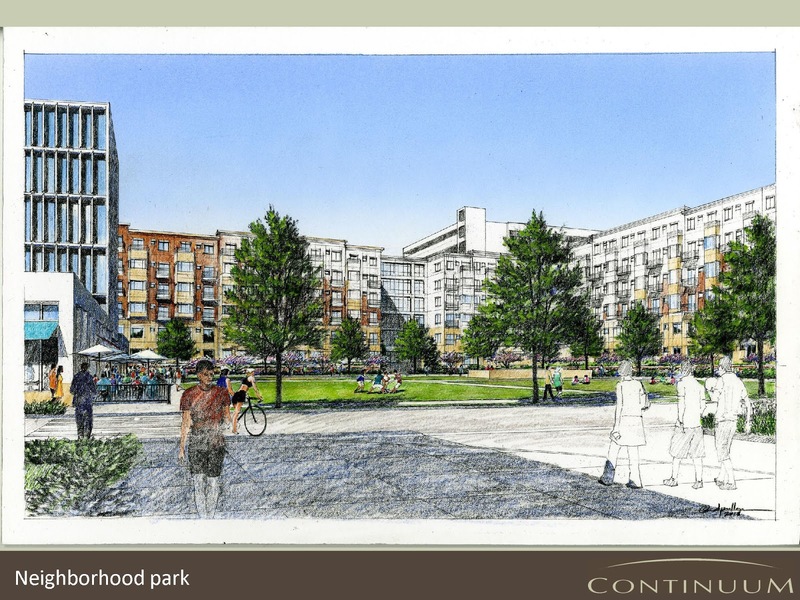 Illustrates the proposed neighborhood park located north of 9th between Albion and Ash. 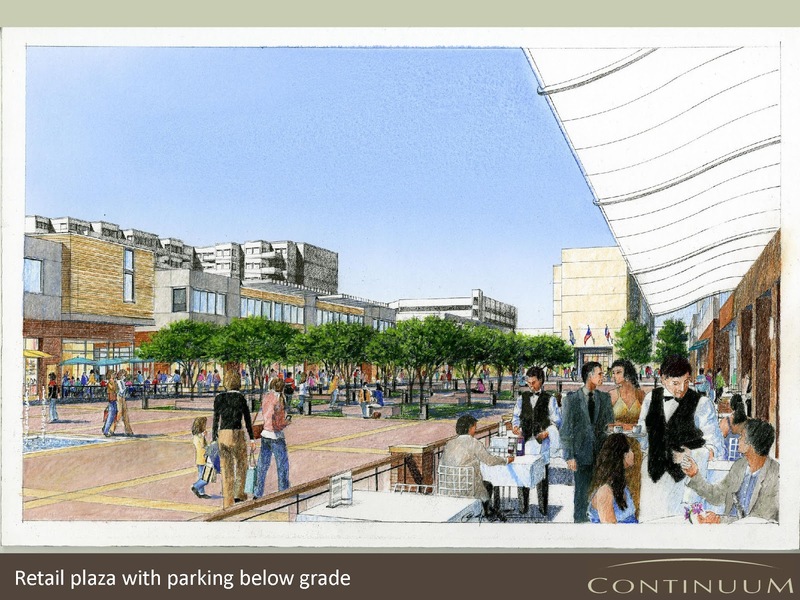 The third rendering is the proposed retail plaza environment located between 8th – 9th and Albion – Ash. 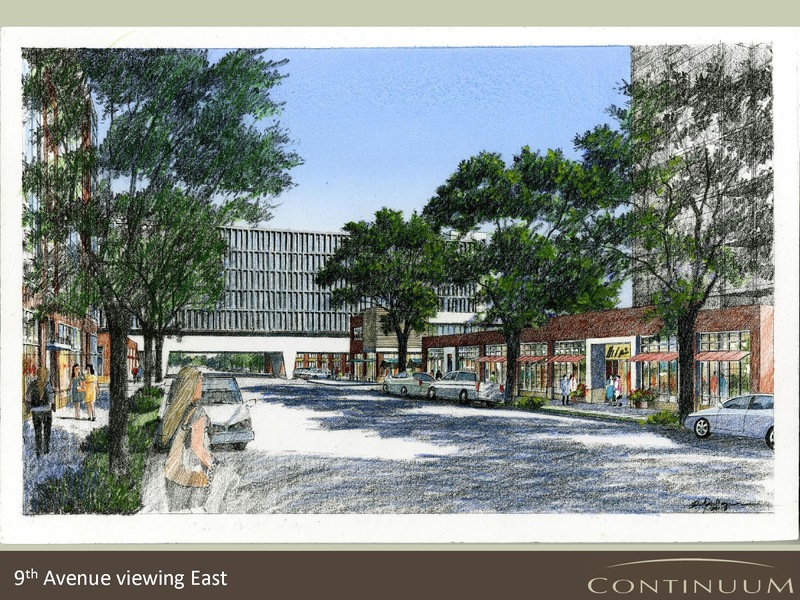 The parking for this mixed use retail area is a single level below grade, using the voids left from demolition of the basements under the School of Medicine complex. 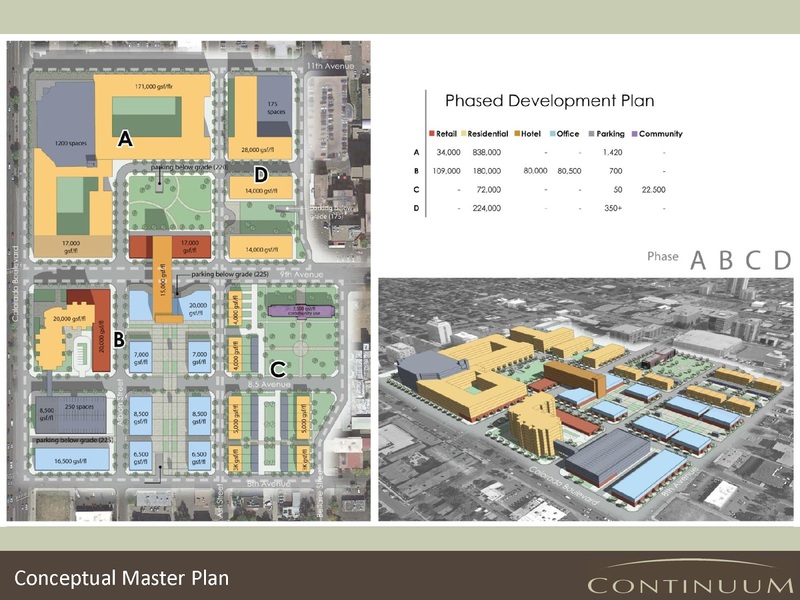 Representatives from Continuum Partners will present their plan at the Colorado Boulevard Health Care District meeting on March 6th. Time and Place will be announced later.